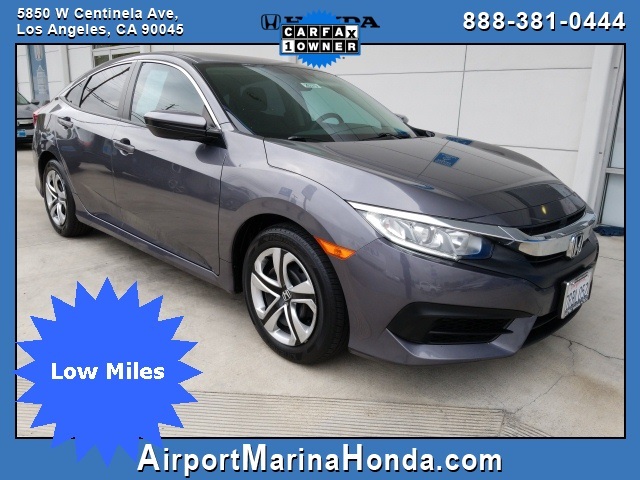 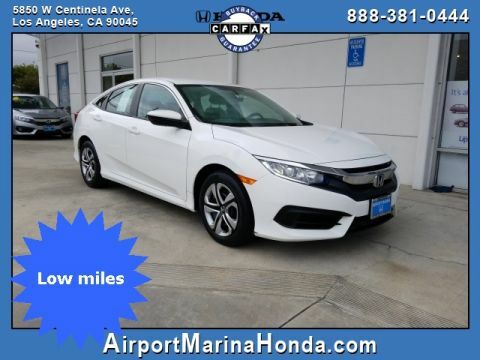 Here is a new body, low mile, 2016 Honda Civic LX Modern Steel Metallic Carfax One-Owner. 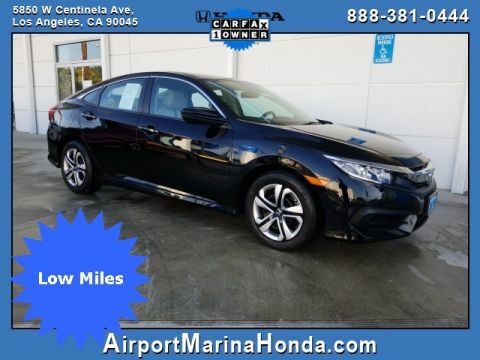 41 MPG Highway, Black/Gray w/Cloth Seat Trim, 4-Wheel Disc Brakes, ABS brakes, Brake assist, Dual front impact airbags, Dual front side impact airbags, Electronic Stability Control, Exterior Parking Camera Rear, Four wheel independent suspension, Fully automatic headlights, Illuminated entry, Overhead airbag, Power door mirrors, Radio: 160-Watt AM/FM Audio System, Reclining Front Bucket Seats, Remote keyless entry, Speed control, Steering wheel mounted audio controls, Telescoping steering wheel, Tilt steering wheel, Traction control. 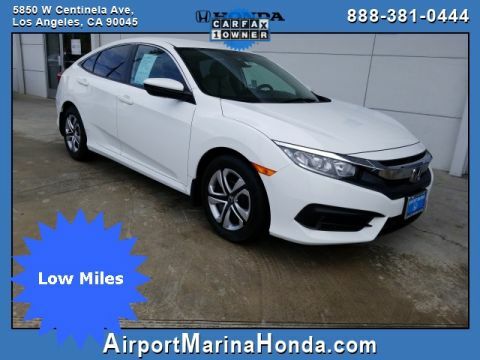 Odometer is 538 miles below market average!